I’m sure you have crazy weeks. This has been one for the books for me. Twenty odd coaching sessions for my MBA consulting class students – they get midterm performance evaluations. Ten interviews with potential students for my summer and fall consulting classes. 200 undergraduates learning about conflict and doing a live case with the accounting firm BDO. And tonight, moderating the exciting sixth annual “Women Leading Women” event at the Smith School, with over 250 attendees. Not only that, but a video series I have been working on with the Smith Brain Trust dropped today – well, at least the first “teaser” video. We have more coming out on different management topics that can help you manage work + life. How does feedback help you achieve your goals? I have a new Facebook Live video up on my Facebook page, where I talk about the power of using planners to help you get feedback on your goals! Don’t forget to enter my 2017 planner giveaway by signing up for my mailing list, and you can pick from among any of the planners I received to review for The Washington Post. Update: Planner giveaway happened on Monday, January 16th – thanks to all those who participated! I had a big problem, and it wasn’t pretty. The problem was poop – poop that wouldn’t go in the right place, the potty. 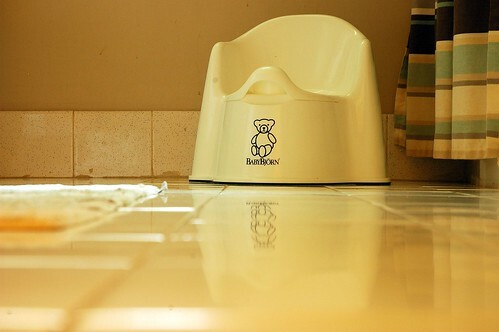 There’s a lot of pressure on parents to potty train, and it seems the earlier, the better. Many pre-schools won’t accept students unless they are potty trained, and even at daycare there’s a push starting at 2.5 to potty train. We knew that our older son was stubborn, and his daycare teachers said that he “just wasn’t ready.” However, after his daycare teachers in a new classroom gave up after a few weeks of trying, mainly because of issues “going #2,” we knew we had a problem on our hands. After I pulled our son out of daycare for the summer before he started in a DC public preschool, I realized that this challenges we were facing wasn’t just a lack of consistency on my part or extra stubbornness on my son’s part. Both of those were factors, but the problem seemed to stem from deeper issues. It was after a trip abroad to visit friends and a few “accidents” that we realized that not only could our son not tolerate dairy, but he couldn’t have chocolate either. Poor kid! I’d love to say that once we figured out those items, we went on to successful potty training, but alas, the consistency and stubbornness issues came back into play. It become much easier, however, to address the issue of potty training without dealing with food allergies on top of it. Problem-solving is a key skill I teach in my management consulting classes, and the tactics I teach have been helpful in figuring out how to solve tough family problems. From picky eating to sleep issues to potty training, there is no shortage of problems parents face in the first few years of their children’s lives. Figuring out a process for solving problems rather than going with the first gut instinct you might have can be helpful in creating long-term solutions for your family. My student teams work with corporate or nonprofit clients to solve a problem identified by the client. We use a structured process to work through problems, starting with making sure that the client has identified the correct problem and then walking through a series of steps to identify the root causes. From there, we come up with possible hypotheses about what could be causing the problem and test them out. That leads to evidence that we can use to make a decision and then come up with our recommendations to the client. You may be thinking, “OK, but how does this apply to my family?” l’ll walk you through this process applied to my most difficult challenge to date, potty training my older son. Unfortunately, the using a problem solving process occurred to me after much frustration and, well, yelling; it’s only now that I’m able to reflect back and think about how we might have done it better. I’ll spare you the gory details but will give you the general outlines to see how this process works for a “real-life” problem, rather than a business one. My son is strong willed. We did the typical process of putting out a potty chair for him at about 2 years old, letting him sit on it fully clothed and talking about where “pee” and “poop” come from. However, at the advice of his daycare teacher, we didn’t rush it. He wasn’t interested and didn’t seem ready. When he moved to the older classroom, most of the other children were potty trained, but he was still struggling. We could get him using the potty at home on the weekends, and I would send him into school with underwear but he would always come home with a Pull-Up or diaper on. What was going on? It took a long time to figure out that there were multiple issues behind his potty troubles. We weren’t really able to start solving the problem until we pulled him out of daycare and I started potty training him on my own. It turned out that there were several issues. One, he had what we’ll call “tummy troubles” when he ate milk and chocolate. Two, he was afraid of the flush, particularly the very loud flush of public toilets like the one a daycare. And three, he was strong-willed and needed a lot of positive encouragement for going potty. Once we figured out those “root causes” of his potty training problem, we were better able to address the real issues. It’s still a work in progress, but we are careful not to jump to conclusions with this problem or any other problem with our kids. Despite the frustration you might feel when you’re having a challenging issue with one of your children, taking the time to think through the possible causes and test out a few ideas to helps solve can go along way. Otherwise, you’ll keep dealing with the same problem until you address it completely. Taking a bit of time to prepare and think through problems at the beginning can save time in the long run. This is a simplified version of the problem solving process I teach my students. We go through a more structured process because one day, hopefully, they’ll be getting paid to do this for clients. Clients expect more detail when being presented with recommendations to solve their problem. It’s unlikely your child will need to see a fishbone analysis or spreadsheet when you present them with a sticker chart for going potty. I’ll outline the process and then next week, I’ll walk you through each step. Join me next week as we walk through the process for your family! Change Management? Families do it best! Families experience change constantly. The creation of a family involves change. When a baby comes into a household, the introduction of a new person forces everyone involved into new ways of functioning. As any parent will tell you, change in the first few years of a child’s life is constant. Some of the best advice we heard when we asked our friends with a child two years older than our oldest was that if we waited a few weeks, whatever we were worried about wouldn’t be a problem any more. Either we would have adjusted, or our baby would have already moved past the phase. Growth spurts, sleep disruptions, feeding and care changes, and illnesses cause brief disruptions in a family’s life. As a child grows, changes become more lasting. A new school, a new job, or new siblings introduce additional change. Everyone shifts, and everyone adjusts. Like any change, it can be painful at first, but eventually change becomes accepted by the family. Unlike in business, failure when experiencing change is not an option for families. While starting a new business may not always succeed, a family introducing a new child has no other option but to move forward and find a way to adjust. In business, change failure is commonplace – some estimates place it at around 70%! In families, babies are born, households are moved, and jobs change every day. Families find a way to move forward, no matter what. There are a few different models for organizational change, but the one I think helps us understand why families are successful with change is Lewin’s model for change. The model is simple. The first step is unfreezing, when leaders decide on a change and analyze the forces for and against it. You and your partner may have done such an analysis informally when deciding to change jobs, move, or undergo some other major change for your family. The second stage is simply change. People transition from one way of being to another. Learning and reflecting is difficult during this stage; people are simply undertaking the new way of acting and trying to implement. Think about when a new baby first comes home and joins the family. There’s little time for analysis or reflection; it’s all reaction to the baby and new mother’s immediate needs. This is the most painful part of change, and when families need the most support. Often, this is when “the grandma hour” becomes important. Grandma or another trusted family member comes into town and takes care of the baby during the usual fussy time for newborns in the early evening. If families don’t have extended family members who are willing or able to help, friends and hired help can fill the gap. There’s a perception that hiring a baby nurse or postpartum doula is only for wealthy people. New services, such as Baby Caravan in New York City, are making these types of services accessible to many more mothers. Care.com and Urban Sitter are two services offering sitters around the country to mothers. A growing number of families live far from their loved ones, making these services necessary for new families. Extra care may cost money, but it can prevent unnecessary marital discord and postpartum depression. Putting this care and support team into place is essential for families with new children, and continues to be important during other times of change. Hiring a fun babysitter to entertain children while you’re packing for a move, scheduling in extra time for yourself while getting up to speed at a new job, or seeking out online communities when you or your child is diagnosed with a learning disability or illness are all ways parents seek support during times of transition. For many families, if money is an issue, groups of families in a neighborhood will sometimes establish a babysitting co-op where parents sit for each other. Friends can also be a huge help; I had a whole group come over to help organize my house before my baby came and it was a wonderful help. The final stage of change is refreezing. The change is solidified, and members reestablish new routines and “lock in” the change. People in organization often scoff at this stage in the model, because change happens so quickly that there’s no time to “freeze” before moving on to the next change. Families with newborns can sympathize with this assessment, since change happens so rapidly. As children grow up and routines become established, a refreezing period is absolutely essential for learning and growth. This is where tools like a family meeting are useful for looking back at a week and thinking about what worked, what didn’t, and what needs to be tweaked. Putting meetings on calendars and writing down schedules can be essential for communicating with all families members and caregivers. My cousin and her husband, both of whom work full-time, swear by a huge paper calendar in their home to keep their family of three children on track. Unlike with organizations, often families don’t have the option of returning to “the way things were.” As much as older siblings may ask, there’s no returning that new baby to the hospital. Organizations can learn from this by adopting both the extensive support families have (or at least, need) during the period of transition and by taking the “there’s no going back” mentality. Transitioning out old systems and recording explicitly in written processes and events the new way of doing things is how families manage change; think about the schedule a new mom creates for her care provider the first time she drops off her baby. Writing down the processes makes the “new” way of doing things explicit, and forces you to think about how you’re doing something. Later on, this document provides a way of reflecting on the changes you’ve implemented and seeing what’s working and what’s not. Every change has a beginning, a middle, and an end. While the end may just be a brief pause before the next change begins, it’s important to prepare for change by analyzing the current situation, provide support along the way, and document the new processes. Whether it’s at home or at work, managing at change is challenging and stressful. Using a process can help a family – or an organization – break it down step-by-step to make it seem more manageable. Todnem By, R. (2005). Organisational change management: A critical review. Journal of Change Management, 5(4), 369-380.